Fans of iced tea lattes will enjoy this spiked Thai Iced Tea recipe. It has a little spiced cream set against a bold black tea background and the liquors give it a nice kick for lazy summer afternoons. The Thai Iced Tea recipe was created by Pamela Wiznitzer of Seamstress NYC. In the recipe, she gave the traditional Thai Iced Tea a boost with a little Irish cream and aged rum. It's a fascinating drink that is filled with flavor. It all begins with a short infusion of traditional spices in a trio of creams. 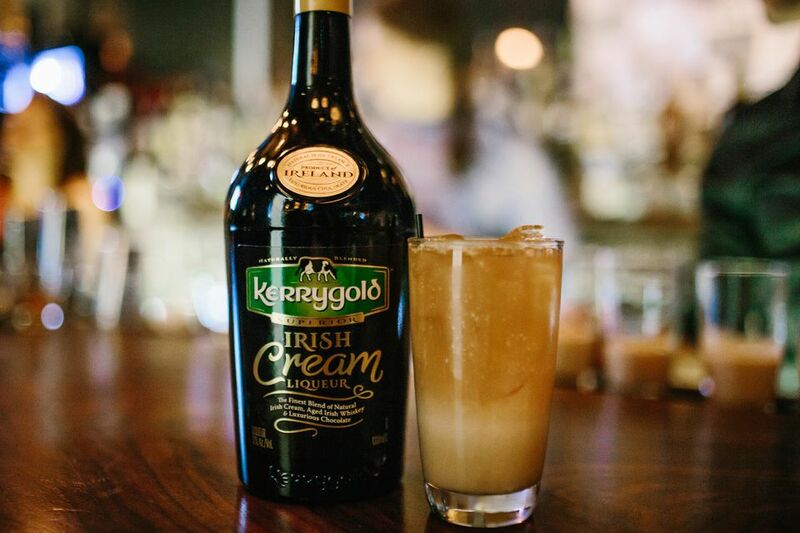 This includes a shot of Kerrygold, a favorite Irish cream liqueur on the market. The coconut milk gives it a great tropical flair, which really plays off the rum in the finished drink. Once the infusion is done (give yourself a few hours), the cocktail comes together quickly. Just pour your favorite aged rum into a glass of chilled black tea, then top it off with the spiced cream. You will find that this is a true delight and a cocktail you won't be able to keep to yourself. Mix Kerrygold Irish Cream, sweetened condensed milk, and coconut milk together with clove, vanilla, and anise and allow to sit for 2 to 3 hours. Strain the spices using a fine mesh strainer. When it's time to serve, pour the tea and rum into a tall glass with ice. Slowly pour 3 ounces of the infused cream to create a floating layer on top of the drink. Finish with a dusting of nutmeg. How Strong Is the Thai Iced Tea? If you're looking for a nice, casual cocktail, this Thai Iced Tea is an ideal candidate. The rum is not a full shot and Kerrygold is a gentle 17 percent ABV (34 proof). By the time we add the milk and tea, the drink is rather light. On average, it will weigh in around 9 percent alcohol by volume (18 proof).